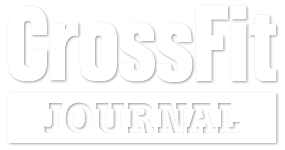 CrossFit Broadway delivers the CrossFit program exactly as it is intended. The stimulus provided are by design, constantly varied, using functional movements, performed at a high intensity. Our specialty is not specializing and our goal is constant progress. The community is welcoming, and is one of support and camaraderie to anyone seeking maximal health and fitness. Whether you are an ELITE athlete, actively participating in sports, playing with your kids, or simply wanting to be healthier and more mobile, we strive to provide the highest level of training that will help you achieve your goals. 1. EMOM x 12: 1 Hang Squat Clean. First set at 60%, add as you wish. CrossFit Broadway is awesome! Jason and his team are positive and extremely competent. I felt safe and thoroughly coached the whole time in the gym. I have fun there and get one hell of a workout! Highly recommended! I've been a member of CFB for over 4 years. I've travelled domestically and internationally, and love to workout at other gyms in other cities. Doing this always reminds me of how much I love my home gym CFB for the quality of coaching, attention to detail, and the level of difficulty. Jason's programming is top notch, and our community is 2nd to none. I highly recommend CFB for drop-ins, privates, and all those that move to Denver. LOVE THIS PLACE!! I drive 20 minutes to go to this specific gym. The amazing and talented staff are a big part of it, but so is the community. I have made life long friends. The fitness keeps me alive, the people keep me coming back. I just celebrated my 3 year anniversary at CrossFit Broadway last month, and I gotta say that walking through that garage door was one of the best decisions I've ever made. The community is the best out there, and the coaching is even better! CrossFit Broadway is geared for all levels of athleticism: from none at all to advanced athletes. When I started CrossFit, I had no athletic background and had rarely even touched a barbell. The coaching that you will get here, especially with the olympic lifts is second to none. Try it! CrossFit Broadway has been my home gym now for almost 4 years and I feel so incredibly lucky to have found it. I fell in love with the gym because of the friendly people, but stayed because of the fantastic coaching. This gym is for all kinds of different athletes, from beginner to expert, everyone will improve at CrossFit Broadway. If you are looking to get in shape while still having a great time, CrossFit Broadway is the place for you!! With our two main programs available 7 days per week and throughout the day, you are guaranteed to get the workout YOU want at the time YOU want it. We are open 7 days per week and have over 60 classes available each week. Our first class starts at 6am and our last class ends at 8:30pm. Come see why so many people around Denver choose CrossFit Broadway as their gym of choice! Do you want to do Cardio today? Come join us for a F.I.T. Boot Camp Fitness class in Denver. Are you looking to get stronger today? Join a CrossFit workout and improve your strength. Our Gym has a class on the schedule for you, no matter how busy you are.Get $50 off your first month of FIT and see why we have become the best gym and fastest growing fitness facility around. A gym is only as good as its coaches. At our gym in Denver, we are lucky to have some of Colorado’s best fitness coaches calling CrossFit Broadway home. Join us for a workout with a coach who cares about YOUR success. Jason Kelly is known throughout the Denver CrossFit community in Colorado for running one of the best programs around. His experience as an International Rugby & Tennis coach shows in the team he’s put together. Juli Bauer, New York Times best selling author and creator of PaleOMG, chose CrossFit Broadway to be her home gym in 2010 and never looked back. You’re sure to fall in love with coaches who truly care about you. With our varied backgrounds and specialties, you will find an experience unparalleled in our area.Try FIT and get $50 off your first month. We have over 50 positive reviews so far, making us Denver’s #1 gym for High Intensity Training workouts. Come see the difference our dedicated coaches near Denver creates. Come to the only gym around Denver, CO to give you so many options. Looking to get stronger? Join us for a CrossFit workout. Looking to lose weight or get in shape? Join us for a FIT workout. Looking to mix it up? We are the only gym in Downtown Denver, CO to give you the choice. Enjoy the difference that choice creates. Get $50 your first month of FIT and see why we have become the best gym and fastest growing fitness facility around. Our Denver CrossFit Gym Workouts were built to get you individualized coaching in a group atmosphere. We believe in this philosophy and average 1 coach for every 8 members in a class so that you always get the attention you deserve. We are the only CrossFit gym serving the Denver area to give this low coach to athlete ratio. You will always get better results when your coach has the time to focus on you. Get $50 off your first month of FIT and see why we have become the best gym and fastest growing fitness facility around. CrossFit, FIT Boot Camp, Yoga, over 4,000 square feet of workout space, and more all sitting right in the heart of Denver, CO. Come to the only gym around Denver, CO to give you so many options. Looking to get stronger? Join us for a CrossFit workout. Looking to lose weight or get in shape? Join us for a FIT workout. Looking to mix it up? We are the only gym in Downtown Denver, CO to give you the choice. Enjoy the difference that choice creates. CrossFit is the most effective way to do this, in the least amount of time. 8,800 gyms and hundreds of thousands of people can’t be wrong. If you are in or near Denver, CO or the surrounding area come join a CrossFit Gym who values you as an individual and wants to help you achieve your goals.